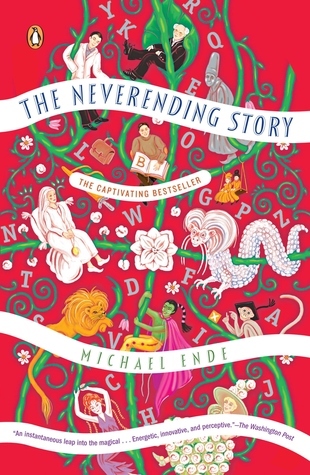 Over the past twenty years, I have made several attempts to re-read The Neverending Story, a book which has shaped my story-telling mind like no other. However, in line with moving to the UK, I'd been trying to read it in English. I have no idea why, but every time I tried, I found it mindumbingly boring, and gave up well before the crucial halfway point (the point where the movie ends). The Neverending Story is the tale of Bastian Balthasar Bux, a fat little 9-year-old boy who has no friends, gets bullied, and is doing badly in school. His mother has died, his father has fallen into a deep depression and become quite distant, and on top of it all, Bastian is a timid boy with a habit of overthinking things. The book starts as Bastian rushes into a little dusty antiques shop, hiding from the bullies who are chasing him. There, a grim and spiteful old man, Karl Konrad Koreander, interrogates him, and quickly forms a harsh opinion of Bastian. Not just fat, but a loser and a coward, and stupid too - and above all else, Koreander believes the boy is up to no good and likely a thief. Reading the scene is almost painful: Koreander hates children, but you can't help feeling sorry for Bastian when Koreander hits one raw nerve after another with his hostile questions and viciously blunt judgements about Bastian. ...about the magical world of Phantasia, where a mysterious and sinister doom has started to appear and befall the land. A doom which is directly linked with the sudden illness of the child empress, who can't be cured by any of the best healers of the world. She tells them that only one great hero can save her, so the greatest healer of them all seeks and finds that hero: Atreju of the green people in the grasslands. Arriving, the healer discovers that Atreju is a young boy on the cusp of going through a rite of passage - hunting and killing a giant red buffalo - and becoming a man. Despite his surprise, he offers Atreju the quest, who proudly accepts it. His quest takes Atreju through several episodes in very different places: swamps of sadness, neverending mountains, a gorge of certain doom, a desert oracle, an ocean, a city of ghosts and ghouls and more. Along the way, he learns a different part of his task from three mysterious guides and he encounters Fuchur the luck dragon and forms a lifelong friendship, all while being closely pursued by a monstrous menace - though he does not realise it. If you've seen the movie, this might all sound familiar, but there's a lot more in the book. The film makers only used the first half of the book for their plot, and even that was cut down heavily. The cuts range from cosmetic - the great healer is a zebra centaur, not just a black man, and Atreju is green-skinned, not slightly tanned, while Bastian is fat, not just wimpy - to much more significant and substantial changes. In the movie, Atreju has a much easier time of it with the monstrous wolf than in the book, while an entire section of actions by the child empress is left out entirely. Several characters are missing from the movie, while some have been changed quite noticeably. Basically, the movie is not a loyal adaptation. The book's more meaningful bits are in its second half. Atreju's chapters are great fun to read: each chapter is an almost self-contained tale of mythical / archetypal adventuring. The intersections between Bastian's experience (in a reddish font) and Atreju's (in a blueish font), and the gradual intertwining of narratives, are exciting and interesting. All of which comes to a head at the point when Bastian's tale crosses into Phantasia. Then, things rapidly shed the comparatively lighthearted direction of adventure quests, and turn into a surprisingly rich and deep psychological and philosophical tale while charting Bstian's gradual descent into soullessness. The Neverending Story had a lasting effect on me, not least because Bastian's story is a cautionary tale ("be careful what you wish for" times a hundred). After the fantastic delight of seeing an alter ego be sucked into Phantasia, and reading about some absolutely stunning places, realising that the seeds of his own undoing were in my alter ego's psyche all along was not the most comfortable of experiences! 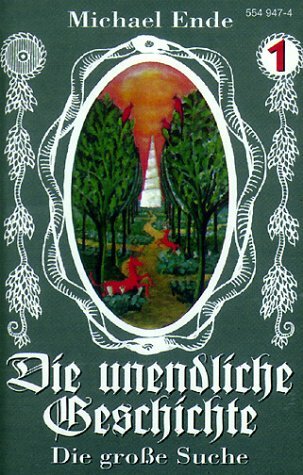 I always wanted this to be my favourite Michael Ende book, but I do remember how dispiriting and deflating the second half was when I first read it. It has not become lighter to read with the passage of time. In truth, I suspect Ende's most joyful achievement is actually Momo, which is told in lyrical, beautiful prose, while being packed to the brim with singular and coherent imagery. 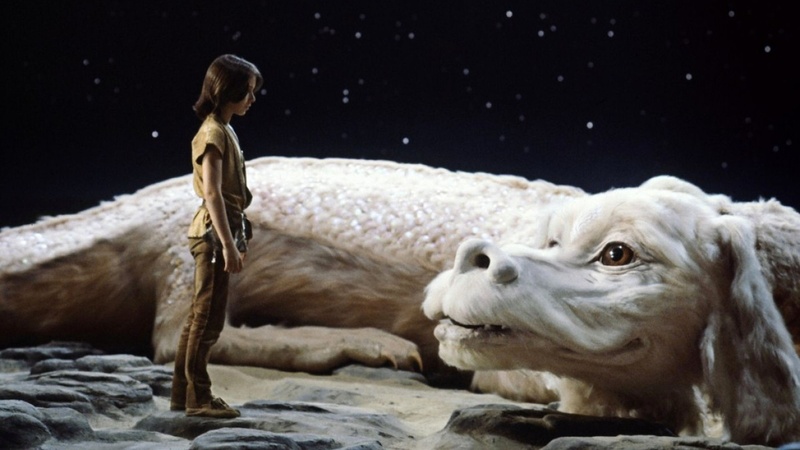 Neverending Story is written in much more mundane prose and filled with such a diverse cornucopia of imagery and themes that it doesn't always feel like a single book at all. The first half of the book is joyful; the second half is thoughtful. One is full of physical peril, the other full of psychological one, and it's the latter which makes it a quite dispiriting read (especially for fat little loser book worms). There's enough subtext in there to write several PhD theses about it, which is pretty brave for what is essentially a children's novel. I can see why the films ignored all of that - but by doing so, they ignored the very heart of the book. 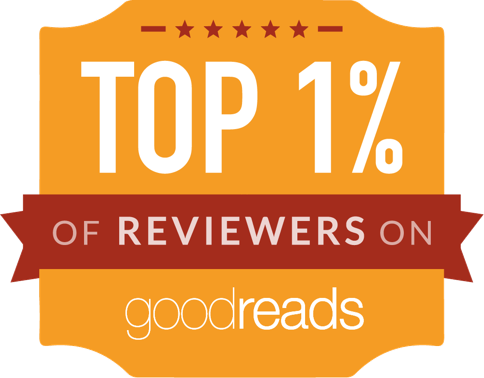 It's a great literary achievement, an influential and complex work. Give it a try (especially if you are fluent in German) - but don't expect it to be just a basic adventure story.